Picture the sunset shades of soothing shade of pink or the hues of a cabana-style tropical getaway that is both exotic and relaxing. 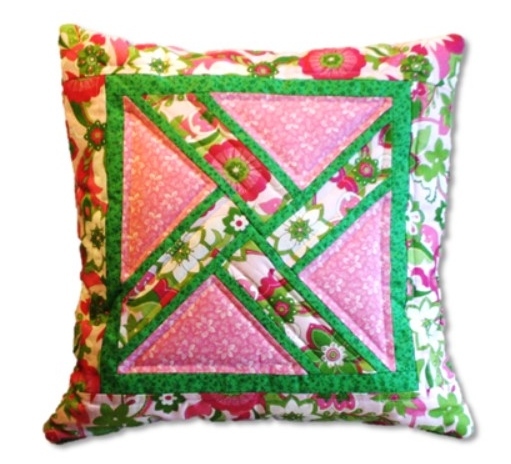 This pink and green Accent Pillow will add those soft feeling to your casual and traditional décor with this stunning Accent Pillow. Add this soft color without distracting from the rooms casual feel. Turn a neutral space into stunning decor. An artistic touch on a table top or wall brings the color palette of pink and to cozy a space. Add a bloom of pink to your garden décor. Give your naturel look a bloom of color with this pink and green gem. Pink adds sophistication and elegance to any room in your home. Family Room – add a hint of color to wood tones and neutral accents adds softness with sophistication. A Fab Girl’s Bedroom – shades of pink is the essence of girls from toddler to adult. If you love the look of pink but are hesitant to commit to the color this Accent Pillow is a wonderful way of balancing this wonderful color to your décor. P.S. Table runners are also available. 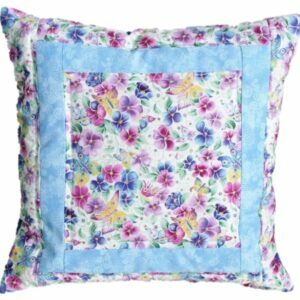 Made with 100% cotton top, 100% cotton lining and shredded foam filling.